Whether you’re new to town, or just looking to move to a new area of the City, you’ll want to get to know your potential new Greater Victoria neighbourhood before buying a home to see if it has the amenities that are important to your family. Do you know where your kids will go to school? Do you have a specific school you want your kids enrolled in? Make sure you verify the boundaries of the catchment area for a particular school by going to the Greater Victoria School District website at www.sd61.bc.ca/schools. From there you can click on the School Locator or the School Catchment Maps tabs. Once you know these boundaries, you can narrow down your home search area. Do you want to be near your doctor and/or dentist, favorite grocery store or shopping centre? Choosing a home in the area near these services will save you some valuable time. With busy schedules, kids activities and work commitments, every minute counts and the less time you spend in the car means more time for more important activities. If you need to use public transportation, you’ll want to make sure you’re close to a bus route to get you where you need to be. Go to www.bctransit.com/victoria to find the latest bus schedules, routes and maps, notices on service changes, holiday schedules and more. Depending on the available service and schedules, one neighborhood may turn out to be more favorable than another if you do have to rely on public transportation. Believe it or not, some neighborhoods have better weather than others. Talk to people in the neighborhood and ask questions about the local micro-climate if it’s a concern. Some people prefer being in much sunnier locations, while others don’t enjoy too much heat. Does it rain more or less in your preferred neighborhood than in the rest of the city and how does that fit in with your lifestyle? While this may not be a significant concern, it’s good to know ahead of time. You likely don’t want to be in the rainiest part of the city if you or your kids participate in a lot of outdoor activities for instance. Choosing your neighborhood is just as important as choosing your new home because if you don’t love your neighborhood, you’re not going to be happy there. 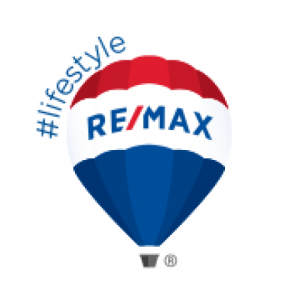 Talking to an experienced real estate agent at RE/MAX Camosun can help you narrow down the perfect search area, so call us today at (250) 744-3301. Where Does the Local Market Update Data Come From? The Victoria Real Estate Board (VREB) releases a monthly report on the real estate activity in Victoria collecting local market update data. This report gives the public and Industry Professionals a snapshot of market conditions in the Greater Victoria area. It includes detailed analysis of trends in sales, inventory, average length of time to sell a property, and pricing just to name a few. The data is interpreted in several forms including graphs, numerical and narrative analysis providing us with local market updates.